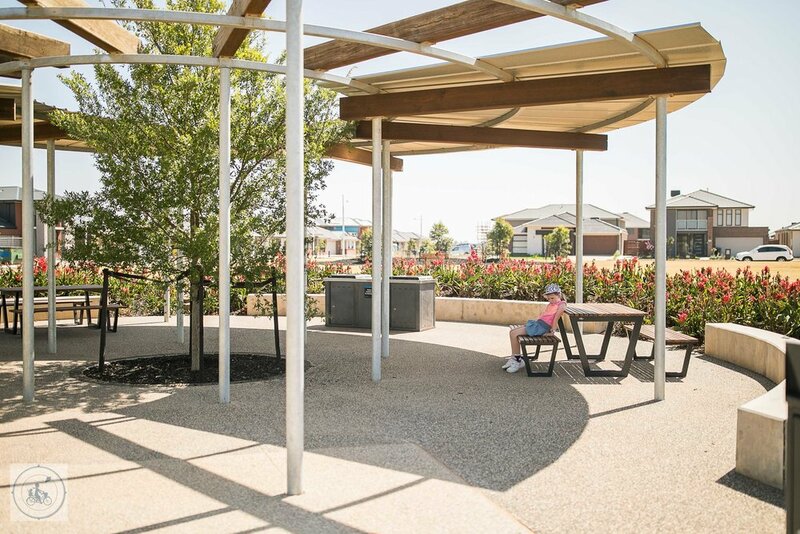 This is such a cute little park - the first thing you will spot from afar is that lovely timber slide tower - very similar to the Ron Barassi Snr Park in Docklands actually! The park feels a bit retro thanks to lots of timber and steel, the wooden tractors, and lovely greenery and trees. There are swings and balance beams and some climbing nets too. Cook up some snags on the undercover BBQ’s and have a game of kick to kick on the oval! 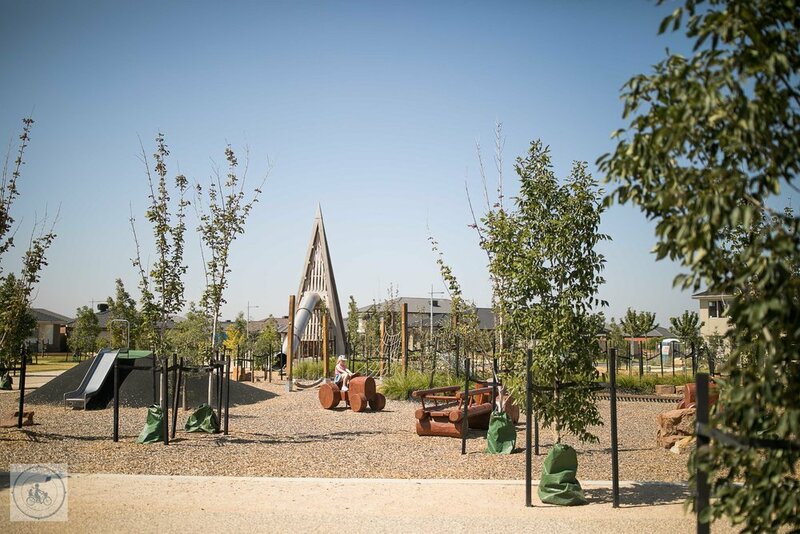 A nice quiet neighbourhood park for your next adventure. 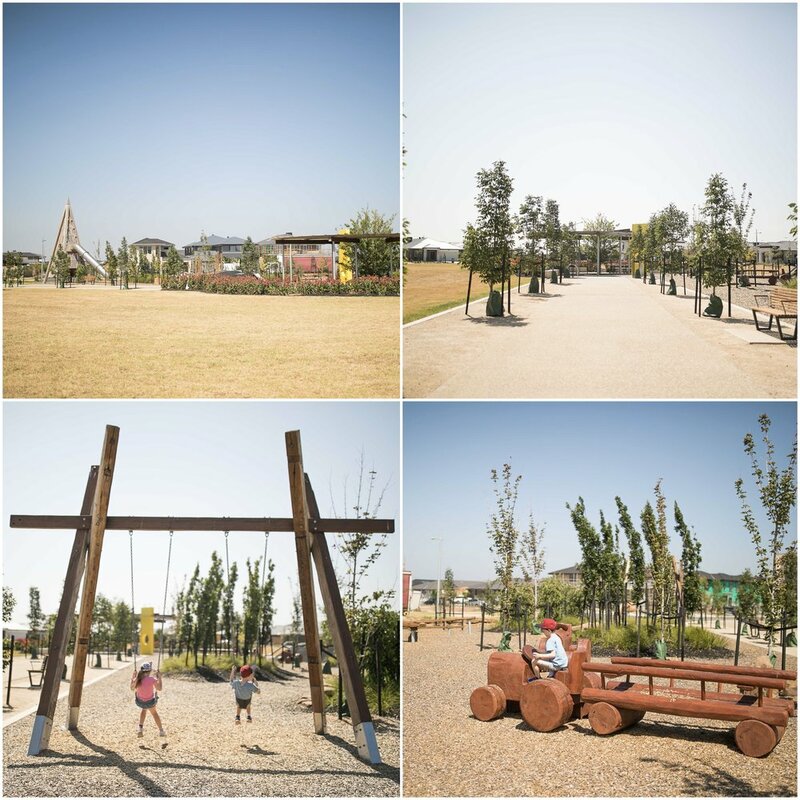 Mamma’s special mention: For more local play - head to Navigation Park, also in Tarneit!